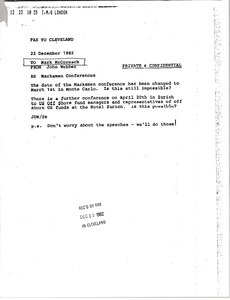 Webber writes regarding the Marksmen Conferences. 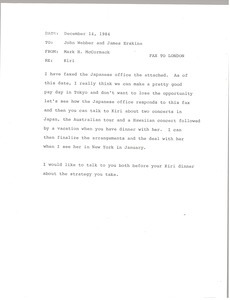 Concerning the attached fax to the Japan office regarding Kiri Te Kanawa's concert schedule. 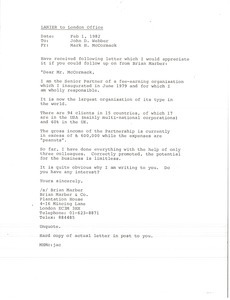 McCormack would like Webber to follow up with Brian Marber of Brian Marber and Company. 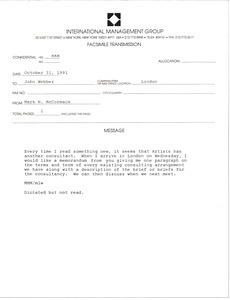 Forwarding a telex received from Michael Johnson concerning Broadway shows. 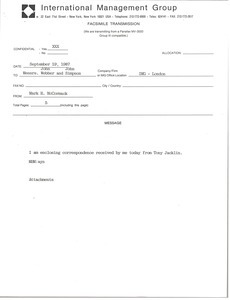 Concerning the attached letter from David Gilmour. 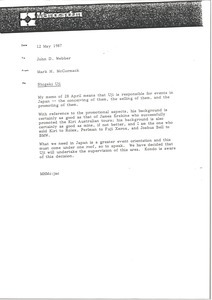 McCormack reminds Webber that Shigeki Uji is responsible for events in Japan. 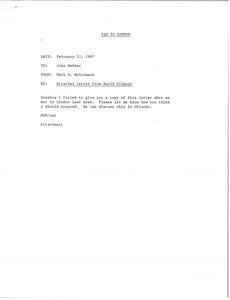 Concerning Webber's lack of compliance regarding a decision about client investments. See mums700-b0009-f013-i050. 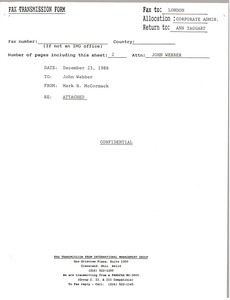 McCormack would like a list of consulting arrangements. 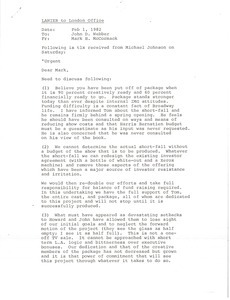 Forwarding correspondence received from Tony Jacklin. Jacklin sends along information from his accountant outlining some of the problems during the past 15 months. 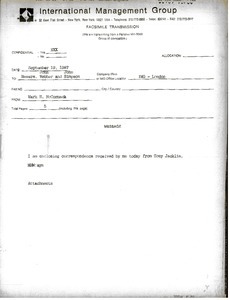 McCormack writes regarding correspondence from Tony Jacklin.